Qantas will be overhauling its Melbourne Airport domestic lounges starting November as part of a redevelopment project that is slated to last about 12 months. The new Qantas Domestic Business Lounge and Qantas Club lounge at Melbourne Airport will be the latest in a slew of lounge upgrades the airline has been conducting. Last October, the carrier opened its new Brisbane International Lounge, followed by its Brisbane Domestic Business Lounge in March this year. Qantas’s facilities at Perth Airport are also set to get upgrades and be further integrated. Among the most notable changes at the two Melbourne lounges will be new dining options and additional seating. As with its Perth and Brisbane lounges, which feature gourmet pizzas and a Mexican cantina respectively, the Melbourne Domestic Business Lounge will be getting its own unique culinary offering. While details of what this will be haven’t been confirmed, Qantas says the F&B option will “reflect the local culture”. 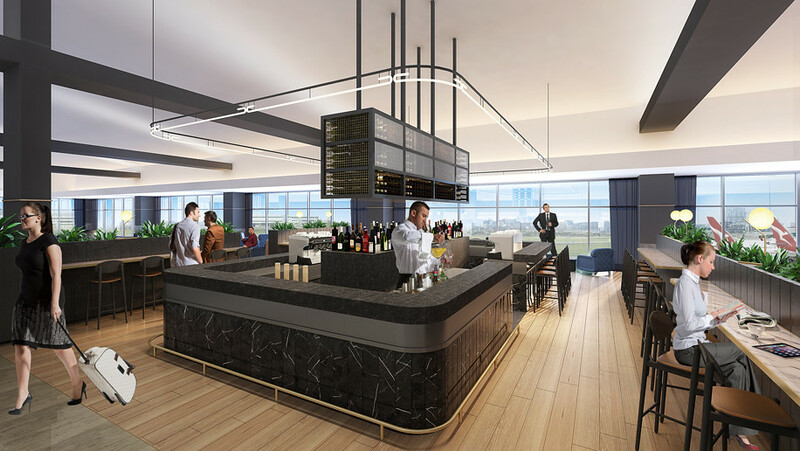 As for the capacity at the two lounges, overall seating is set to expand by approximately 40 per cent at the Business Lounge and 10 per cent at the Qantas Club lounge, though the spaces themselves will remain the same size overall. This will effectively bring total capacity up to 350 people for the former and 530 people for the latter – an increase of about 130 people across both facilities. Additional facilities that will be available at both offerings will be an all-day barista coffee service, seasonal hot and cold cuisine, a “Quench” hydration station with non-alcoholic beverages, business facilities with wireless printing and wifi, additional power outlets for charging devices, and service by Accor. Upgrades to the lounges will be done in stages, and travellers will still be able to access them throughout the upgrade process. When completed, the two lounges will share a reception desk but have separate entrances. Members of Qantas Club as well as Gold Qantas Frequent Flyers will be able to access the Qantas Club lounge, as will travellers with equivalent Oneworld tier benefits. Meanwhile the Business Lounge will be available for business class travellers as well as Platinum-tier frequent flyers and equivalent tier Oneworld members.